Photos are one of the most precious ways to capture memories. Where I used to always remember to pack my camera for trips, birthday parties, and other special events, the quality of smartphone cameras and the convenience of being able to snap and post photos from my phone has switched me over to using my camera phone for most moments I want to capture. While this shift has been convenient, it also poses its challenge. Any time I search my phone gallery for images of weddings, our dog, or recent home renovations, I have to sort through pictures of concerts, sporting events, travel, and Insta-worthy food shots. I have been looking for a way to get more organized, and I could not have been more excited to welcome ibi, the smart photo manager, into my digital life! 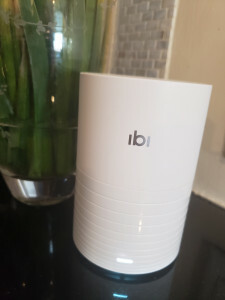 ibi is a physical product that you plug in at home, and connect to your WiFi. It is sleek and small in size and is reminiscent of other smart home devices that are easy to store on a shelf or cabinet. ibi works in conjunction with the ibi app, where your photos and videos will be carefully saved, protected, and shareable with your loved ones. 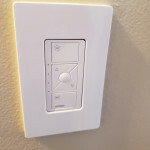 Setting up the device and connecting to WiFi as well as installing both the mobile and desktop apps was a breeze – very quick and easy to do! ibi helps me collect and store all my photos in one place with 2TB of memory to hold up to 500,000 photos or 200+ hours of video. I felt like Marie Kondo going through my photos and videos, keeping the ones that brought joy, and sorting them in folders such as weddings, family events, friends, travel, concerts, and more. Thanks to ibi, I realized how truly unorganized my photos were on my phone gallery, and even on sites such as Google Drive, which have limited storage available for large files. ibi easily integrates with cloud storage, such as Google Drive, DropBox and more, allowing you to easily migrate your photos and videos over to ibi. It also streams with Roku or Chromecast, so you can share videos and photos on your screen for all to see and enjoy! Want to add photos via USB? No problem! ibi also has a USB port. In addition to saving the pictures on my phone on my ibi, I was able to easily sync my wedding photos that were stored on Google Drive. Google Drive only offers a limited amount of space for large files, so knowing that I can now store videos and images on IBI relieves the pressure of having to delete precious memories. Speaking of sharing, one of the great features that ibi provides is its ability to share photos with designated friends and family members, even if they do not have their own ibi device. They simply need to sign up for an account, and they can browse through photos in designated collections, and even add their own to contribute! You can share albums and videos with an “inner circle” (such as close friends and family members) who can view all content that you bring into ibi, or share certain albums via a private link – ideal for sharing with fellow parents on a soccer team, those who attended a vacation or special event with you, etc. The ibi app is simple to use, and for me, I loved initially sorting my photos and creating folders using the desktop app, which is available for both Mac and PC computers. I was able to quickly determine which photos should be stored in which folders and easily create new folders for weddings, concerts, special events and more. The desktop app and mobile app sync up with one another, so you only have to sort on one platform to see your memories organized on the other. Friends can view the content on the ibi app if they have it, but otherwise can see it through their web browser. Thanks to ibi, I now no longer have to worry about losing photos by misplacing an SD card, damaging or losing a phone, or having a hard drive mishap with my computer. 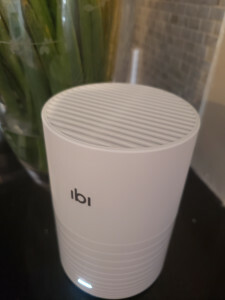 ibi is currently available for $179.99, with free two-day shipping available through web purchases. Visit www.meetibi.com for more information! 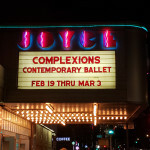 « Complexions Contemporary Ballet combines artistry and athleticism in New York City through March 3rd!